We see lots of patients who either tore their ACL “off the street” and elect to have surgery or people that are already scheduled for ACL surgery and they come to see us for “prehab.” ACL injuries are unfortunately very common and happen regularly to both athletes and our “weekend warriors” (and in folks that are still trying to be athletes!). When you tear your ACL, there are a few different graft choices that a surgeon may use to fix your ACL. It’s not very “cut and dry” though. The decision is often based on what the surgeon’s preferred graft choice is and sometimes on who they’re operating on. For example, the graft choice may change depending on whether or not the person getting the reconstruction is a collegiate offensive lineman compared to a young, petite, female soccer player. What complicates this further is that while the internet is a source of valuable information (depending on where you look of course), it can also be a source of fear generation. Lots of horror stories and lots of strong opinions one way or the other. Check out our YouTube clip (link below) on ACL graft choices. We discuss what the ACL is and what graft choices there are for you to choose from as well as the advantages and disadvantages of each. 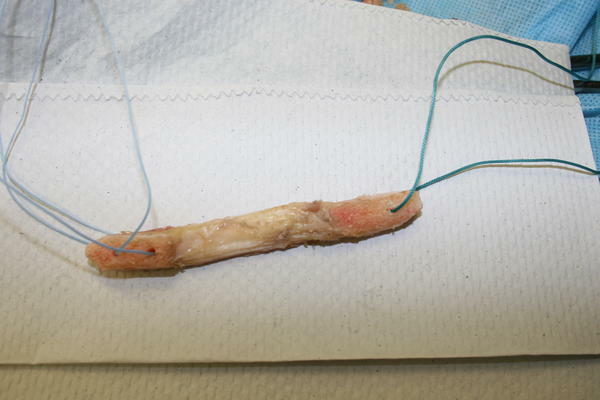 Here is another link to a “roundtable” on ACL graft choices from a few orthopedic surgeons. Does the ACL graft choice affect return to sport? Yes it does. Well, it should, but this depends on how skilled your physical therapist is as well as what the orthopedic surgeon says. Allografts, which are tissues used from a cadaver, take longer to heal in the bone tunnel. Therefore, people that have allografts should delay running and other impact activities compared to people that have autografts, or tissue from their own bodies. Figure about 4-6 weeks later. When comparing bone-patellar tendon-bone autografts to hamstring autografts, hamstring grafts take a little longer to incorporate as well because they are soft tissue to bone fixation. The patellar tendon graft has bony plugs on each end that go in the tunnel and the bone surrounding it heals around those plugs, making it “bone to bone” fixation. So, similar to an allograft, hamstring autografts should be delayed a little longer. All that said, return to play is a combination of recommendations from your physician and your physical therapist and should only be made after specific, functional testing criteria are passed. To do it right, plan on about 6 months to sometimes over a year to be truly ready (try not to freak out about that – everyone responds differently, but you should be aware that it can take that long!). Talk to your physical therapist and your surgeon about this. This link provides a concise summary of ACL graft choices too. We talk in the video about some of the advantages and disadvantages. Right now, the patellar tendon graft is still the “gold standard,” but the hamstring graft is still a good choice. 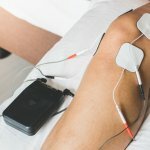 Most surgeons choose to do hamstring grafts to avoid as much quadriceps atrophy and to help avoid anterior knee pain, but both of those are “rehab problems.” No question, hamstring grafts cause substantial weakness in the hamstrings and that needs to be addressed before returning to activities. Even though we don’t talk in the video about the quadriceps tendon graft, it has the same fixation as the hamstring and has some of the challenges of the patellar tendon graft in regards to persistent quad weakness. We usually discourage allografts for a majority of our patients because they tend to loosen up over time. However, if someone is fairly sedentary and just plans on going back to work, it may be a good choice. Allografts are also used in cases where a multi-ligament knee injury occurs and several ligaments need reconstructing. Again, we encourage you to talk to your surgeon. 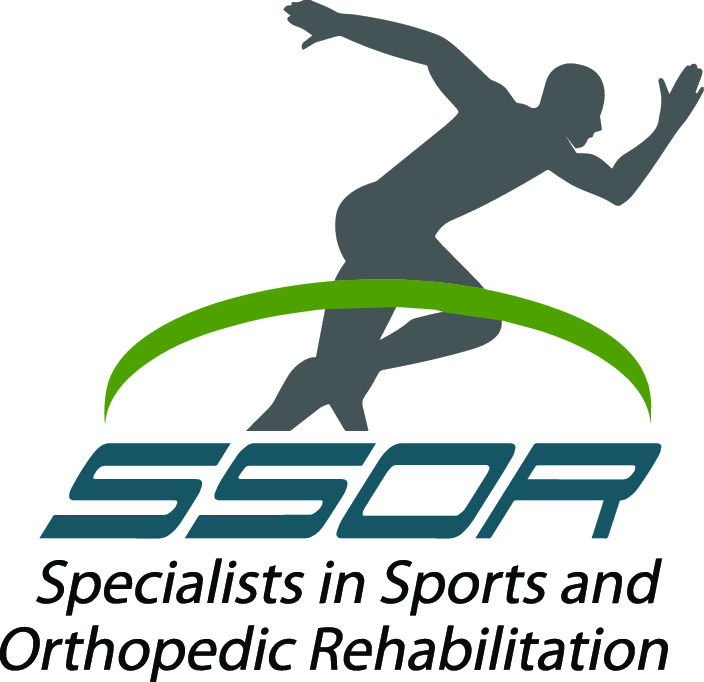 If you tear your ACL, look no further than the physical therapists at SSOR to help you get back to the activities you enjoy. You can be confident that we understand what was done surgically and the specific nuances of each ACL graft. Most importantly though, we know how to progress you safely but effectively to ensure you are ready for activities and at least risk for re-injury. It would be a privilege to serve you and partner with you in your care. We have locations in Overland Park and Prairie Village to serve you.